Noodle and Lou are unlikely friends. One is a worm and one is a bird. When Noodle is having a bad day, Lou knows just what to say to cheer up his wormy friend and help him see what it means to be liked just the way you are. "This is a feel-good book about looking on the bright side with a little help from a friend.... Told in rhyming couplets, the story of friend helping friend is illustrated in bright watercolors with each object surrounded by a thick black outline. The pictures are filled with humorous details, including worms with sunglasses, acorn-top hats, and earphones. 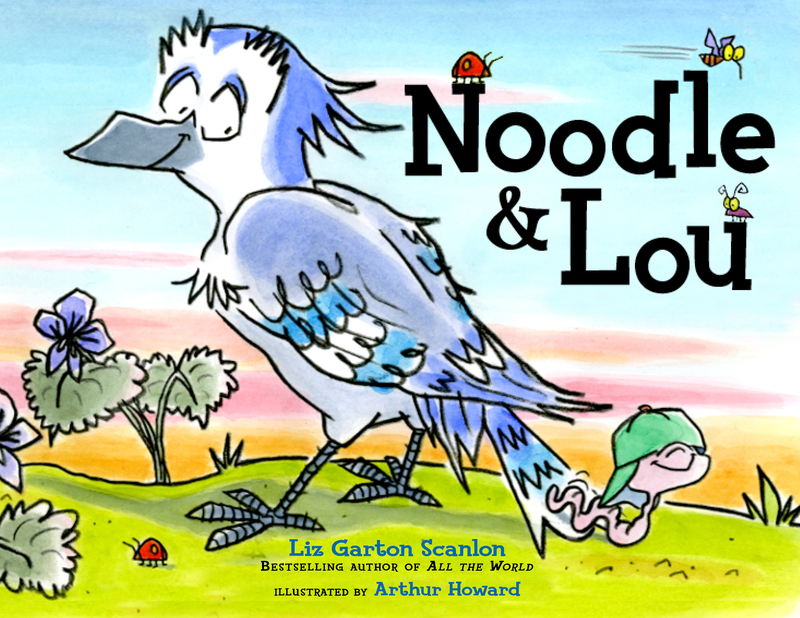 Although Noodle laments having no eyes, beak, feet, etc., his mood is lifted, literally, by his special bond with Lou."